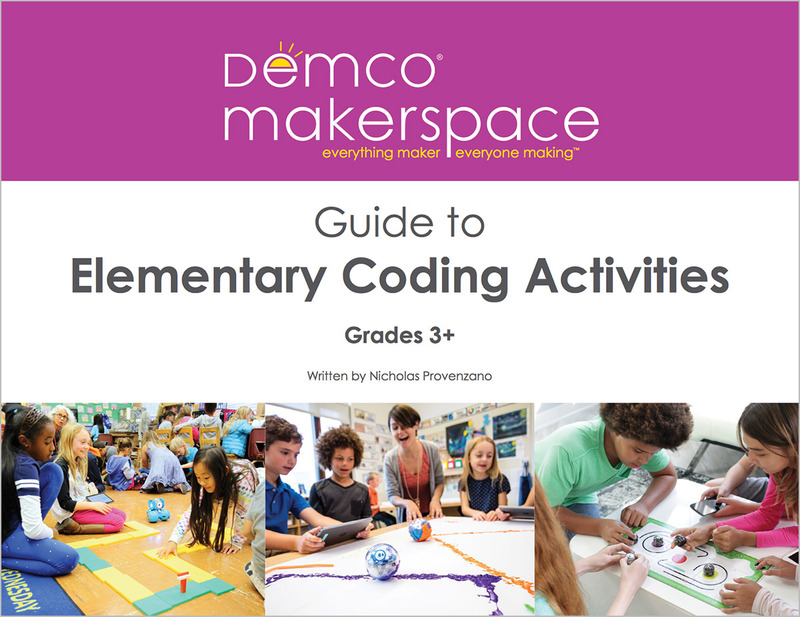 We have several programmable devices in our space: Sphero, Dot and Dash, and even BB-8. Our students love programming these tools to navigate obstacle courses and perform missions. 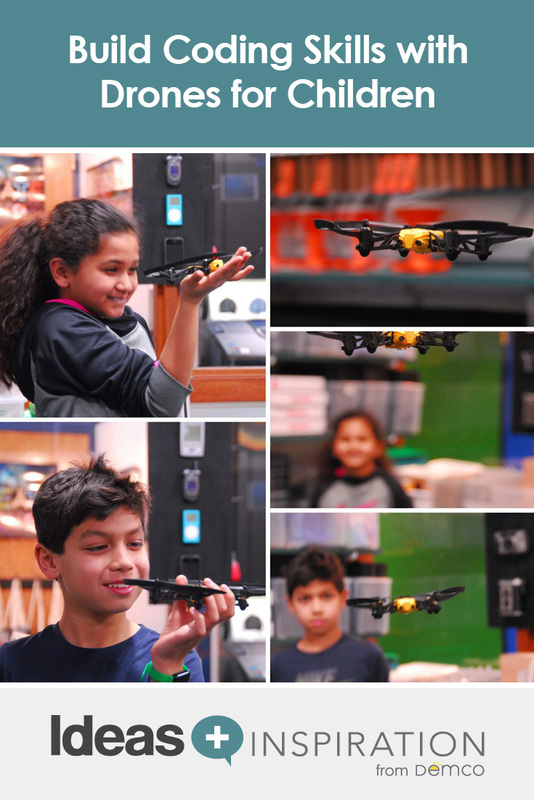 However, nothing has made more of an impact than our Parrot Minidrones for coding with fourth grade students. 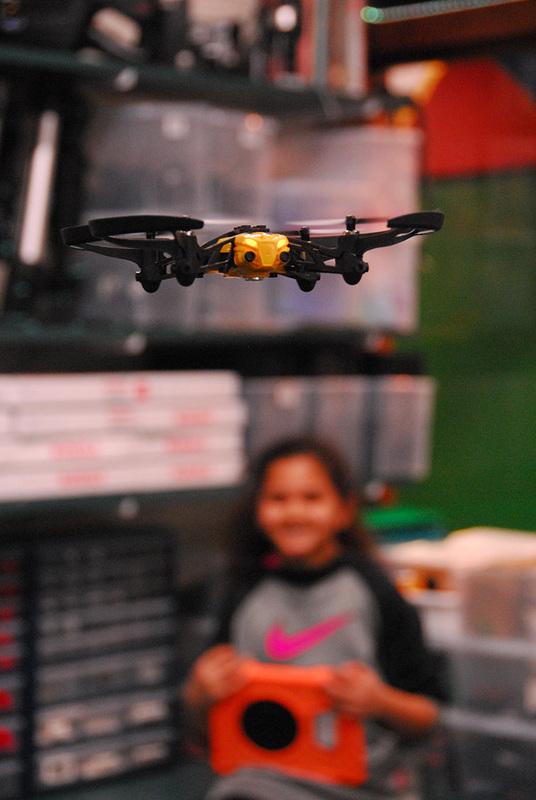 I wrote a post earlier this month about my experience teaching an all-day professional development workshop with educators about drones in education. You can check it out here. I’m an early adopter when it comes to drones. I’ve kickstarted multiple drone platforms. Sadly, none of them were as slick and easy to fly as their rollout videos were. But I’ve fallen in love with the Parrot drone family. My first Parrot drone was the AR 2.0. I saved for a year to buy it, and I still fly it with my students. I like that it has a giant foam bumper that protects the props as well as fingers. I’ve only had to replace a single motor, and that was totally my fault for flying it indoors without the bumpers. Since then, I’ve purchased ten of the Parrot Cargo Minidrones. Don’t let their size fool you. These little guys are powerful and surprisingly smart. But it’s important to take a few precautions the first time you use them. If you do a quick search on YouTube for drone fails, you’ll find thousands of examples of people of all ages destroying their drones, many on their maiden flight. While Parrot has a native app that you can download to your tablet or phone and fly within seconds, unless you have piloting experience, you will probably end up adding to those wipeout videos from YouTube. For example, straight out of the box, the drone’s maximum height is set to 9.6 feet. Most homes and schools have significantly lower ceilings. So when you start climbing, the drone is probably going to go straight into whatever is directly above it — a light fixture, ceiling fan, etc. If you are outdoors, the slightest breeze will carry these tiny quadcopters into the nearest tree or bush. Setting that height to a lower maximum and teaching students to use a block-coding program like Tynker has helped me avoid accidents and turn these toys into tools. We began our work with drones by programming simple missions with Tynker. This easy-to-use block-coding program works seamlessly with the Parrot minidrones. The students’ first mission was to simply take off, travel a set distance and land safely. The missions grew in complexity. 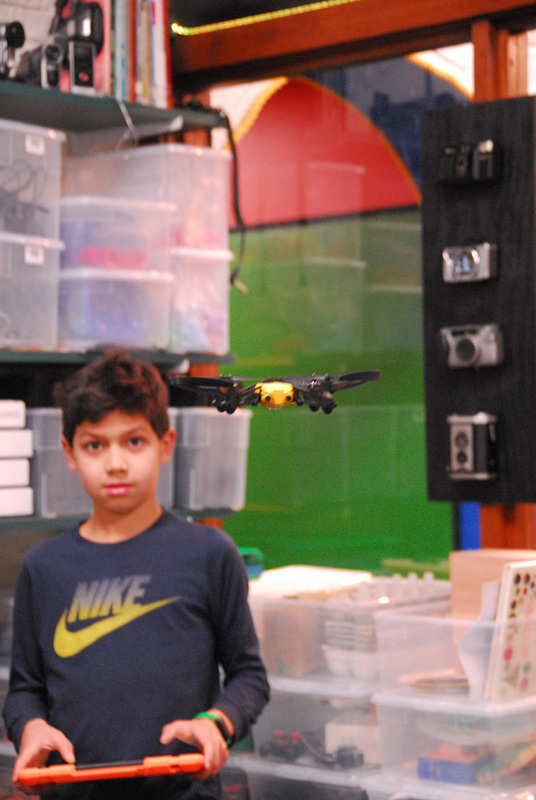 Eventually, students were coding drones to travel in complex flight paths and perform aerial stunts. After completing what we called “flight school,” students were ready to navigate obstacles with the native free flight app. Soon we were timing runs and setting records on the courses. 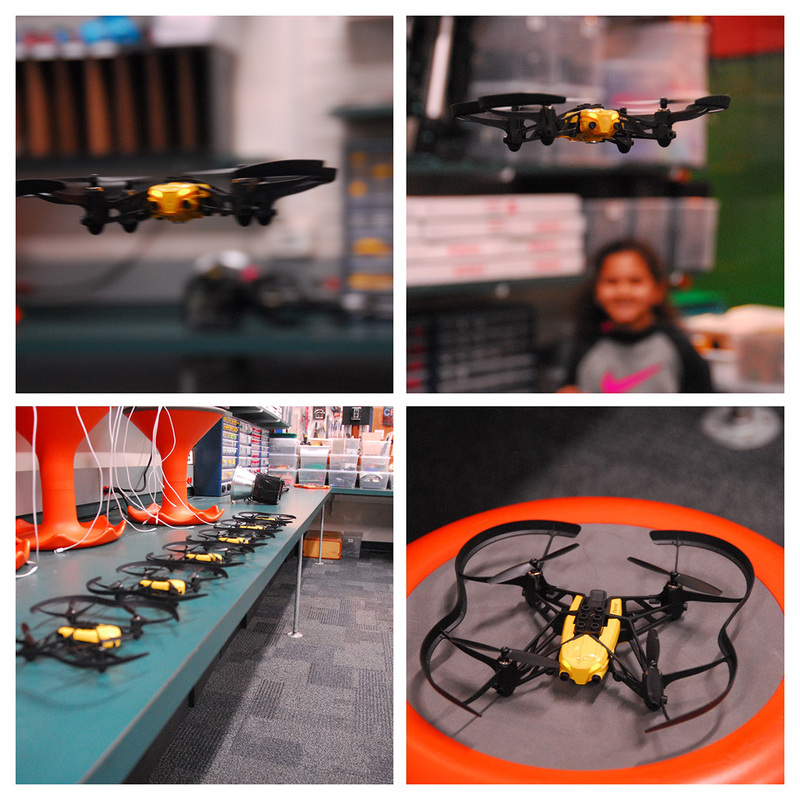 I’ve never seen something motivate students and make them passionate to solve problems more than these drones. By establishing rules for safety and responsibility, we’ve minimized damage to our drones, and by adding the block coding, my students have taken this toy and turned it into a tool that pushes the boundaries of the Hour of Code. As a Library Media Specialist, I believe it is my responsibility to continually introduce new resources to my students. By engaging students in this evolving technology, I am providing them with the mindset that they can be on the cutting edge of new technologies. One of the ways I am hoping to get more and more students involved is to integrate a “flight cage” made of mesh netting. This will enable even young students to fly in a safe environment. I discovered this concept from a UK group that utilizes drone programming to build teamwork as well as coding skills. 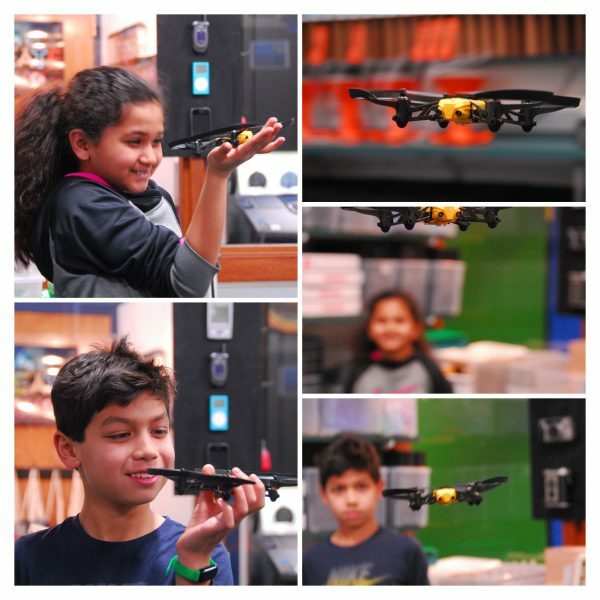 There is no doubt that as students at younger and younger ages become proficient in basic coding and flight of unmanned aerial vehicles, fantastic new developments will be in the near future. Todd Burleson is an educator with 24 years of teaching experience. His students have ranged in age from kindergarten to college. As a Teacher-Maker-Librarian he's constantly curious, and his passion is finding the balance of books and bytes in the classroom while encouraging students to explore their own personal interests. Todd's library was recently named School Library Journal’s 2016 School Library of the Year. You can read more on his blog and connect with him on Twitter @todd_burleson and @HWSIdeaLab. Great post! Very nice….. Thanks for share.